These beautiful earrings designed and handcrafted by Evelyn Brooks are inspired by her Peruvian heritage. 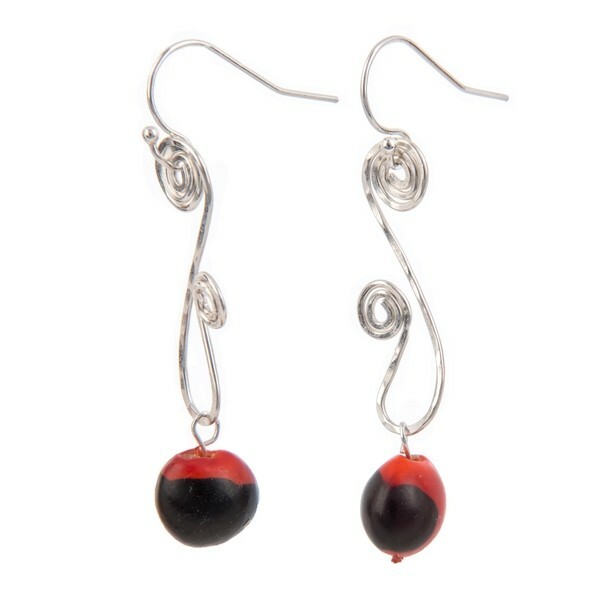 Colorful and lively, these dangle earrings feature red and black huayruro seeds and sterling silver. Huayruro seeds grow in Central and South America and are believed to bring positive energy, prosperity, love and happiness to those who wear them.